Will UV Rays Come Through Window to Dull Wood? This isn’t so much fine woodworking as home improvement, but thought the principals were applicable. 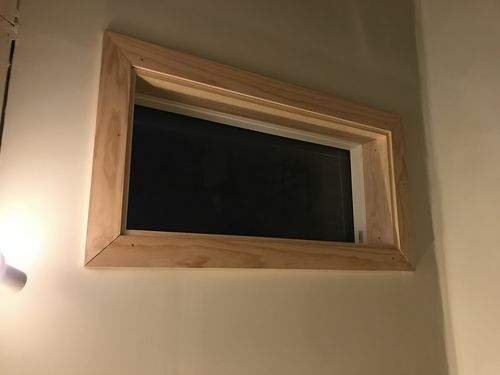 I just put some window trim, and got it all squared up with shims etc. Had to make sure it fit before I finished it. We want to keep the natural look of the wood, as we are going for a modern Scandinavian interior design look. I was originally planning to get it up there to make sure my measurements were right, take it down, put water based polyurethane on it, and then put it back up. Now that it’s taken a little fiddling with to get it up just right, I’m wondering if using Minwax finishing paste wax would be sufficient enough? Obviously it won’t be touched much so theoretically wax could work, but given these are Velux skylights, a lot of sun will be getting in. They are high quality, but I just wonder if on hot summer days if the wax would basically melt off? It’s not that big of a deal for me to take it down and use poly instead of rubbing the wax right on while it’s up there, but I figured I’d ask in case it’s a step I could avoid doing. I’d much rather have to take it down now then 6 months from now realize the wood is ruined and then I have to take it down, sand through, then seal haha. Thanks! Wood will turn color in direct sunlight. For 4 years now I have been experimenting on my wood turnings that after putting the finish on it I then put of Sunscreen of SPF80 and so far Bloodwood, Padauk, Black Walnut, Yellow Heart and Red Heart have not changed from when I put it on it. However, I have reapplied it several times during the years on 6 of the 10 pieces and the other 4 with either just one coat did change in the first 18 months and the other three I put on another coat after 12 months with just a little difference. Looks like white pine. Exposure to sunlight will cause it to darken overtime. You can SLOW the color change by applying a poly with a UV inhibitor added. In general, oil based poly will give the molding a more amber cast then the water based poly. The finishing wax will provide little protection. Will UV Rays Come Through Windows to Dull Wood? That is why they sell the special UV blocker window tint in Florida. in my old Homestead, my mother had a very nice cedar bedroom set – the sun killed it. a throw rug by the bed – very distinct lighter pattern where the rug was for years. (real oak wood – not laminate). woods in the mahogany family will DEFINITELY turn much, much darker in the sun. yes – UV KILLS !!! Edit: for your interior window trim, it will be years before you notice a difference. personally, I would avoid anything that said MinWax on it (but that’s just me). I would use a marine grade spar varnish with UV blockers if you can justify it. but for just one window – not worth the trouble or expense. 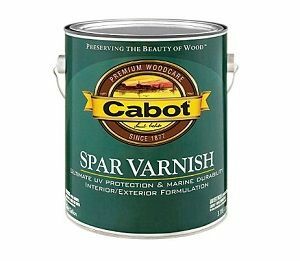 spar varnish would be my suggestion but not MinWax Spar Urethane. UV Rays do effect wood light wood tends to get darker and dark woods tend to lighted. some windows have a certain amount of LV filtering but still not 100% protection, Finishes can help some but not much. If you find the woods getting darker than you like you may have to plan on putting new trim on every few years. LOL, boy howdy, here in Az. its a must to have blinds or curtains on windows that shine on carpet ect, and of course wood, had to explain to a couple folks back in the day about cherry cabinets, they didn’t believe, and well we know what went on there, and here again in az. not much will retard the uv for long.